We like drinking whisky. We also like writing about whisky. 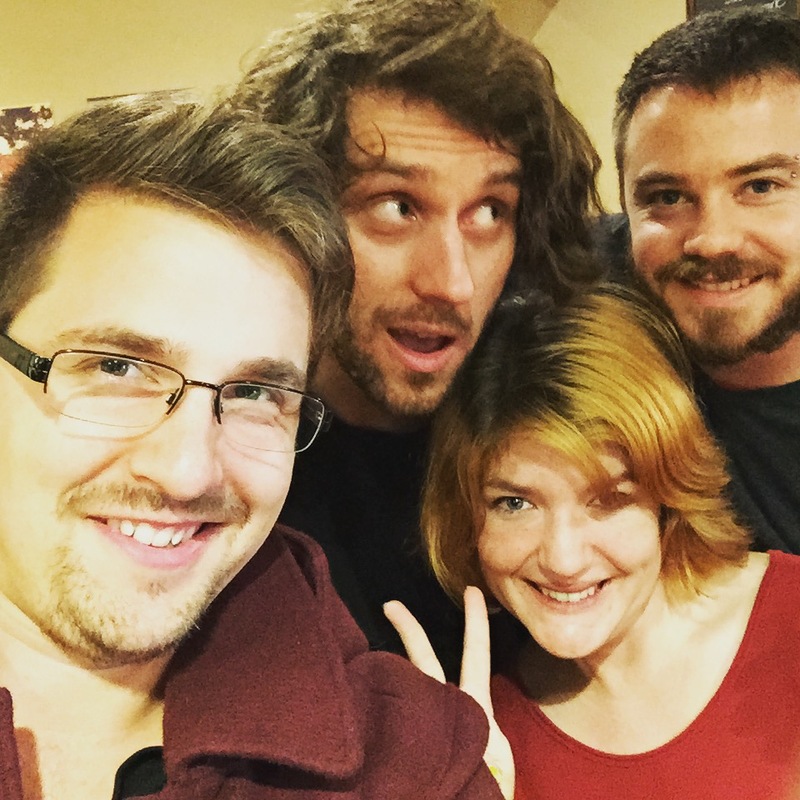 So when we heard that the Tasmanian Writers’ Centre was holding an event combining the two, we packed our bags and cruised off down the highway to hell Hobart to make an appearance. 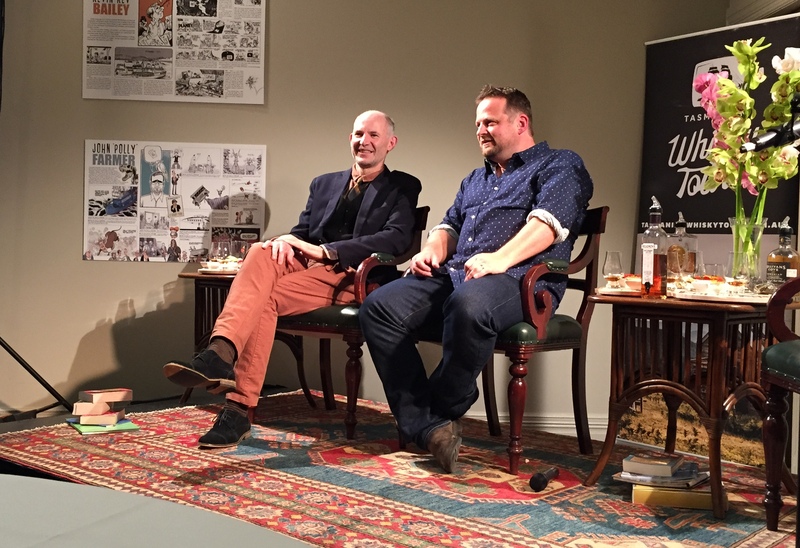 ‘Whisky Tales: Stories You Can Drink To’ featured cartoonist-at-large Jon Kudelka, co-author of ‘Kudelka and First Dog’s Spiritual Journey’, and Bernard Lloyd, true waffler and author of the upcoming book ‘Tasmanian Whisky: The Devils Share’. The evening was hosted by Tasmanian Whisky Tours founder and quality beard grower Brett Steel. Of course, we must not forget the 50 strong audience, who bore witness to a night of sensational banter between the three protagonists as they discussed the history of Tasmanian whisky, the state of the State’s distilleries and just why Pete Bignell is such a good bloke. A brawl had sparked up between whisky snobs and bogans, and all the bottles had been smashed to use as weapons. Jon Kudelka’s bicycle had got a puncture on top of Mt Wellington. Bernard Lloyd had offered to tell a staff member a brief anecdote. Brett Steel had tucked into a bottle of cask strength Lark to steady his nerves, and was found ‘napping’ under a table. There had been a rather bizarre incident involving an explosive pineapple and a Peruvian folk band who had wandered in from the market. Finally we were permitted entry and made a rockstar’s entrance past the lone paparazzi lurking in the hall. We selected the closest table to the front and sat down to a platter of fine food and distilled beverages. We later discovered that the platters themselves were in fact barrel ends that had been specially made for the event that week. Whisky Waffle and the Queen… Oh, and the wonderful Jon Kudelka! Brett kicked off proceedings by announcing that the night would be filled with yarns, anecdotes and tall tales about the dirtier, grungier characters that make up the Tasmanian whisky industry (two of them being seated beside him). We learned about the beginnings of Tasmanian distilling from Bernard, when in the 1820s the Governor adopted an ‘if you can’t beat ’em, join ’em’ policy, allowing several land owners to start legally producing whisky. Bear in mind that this was a similar sort of time to when famous Scottish distilleries such as Glenlivet, Laphroaig and Dalmore were being established, however the Tasmanians were shut down only several years later by decree of Governor Franklin. If they had been allowed to continue, who knows what they might have achieved. Jon discussed the Spiritual Journey, noting how Brett had bailed him out of what he described as a ‘massive cockup’ in the trips organisation. Turns out that Tasmanian distilleries like to have a well earned break on the weekends. Luckily, Brett was kind enough to provide an Audi and the offer to be designated driver on a week day. Of course, the talk was only one highlight of the evening, the other being grain – of the distilled variety! There were three rare local drams on offer, and both of us were smugly able to identify each by smell alone. Each was paired with a delicious treat, although we debated whether the matchings might have worked better in a different order. Stepping up to the crease as the opener was a cask strength Lark finished in the distillery’s own rum barrels, paired with a juicy oyster. Naturally there was plenty of vanilla, caramel and of course Lark’s signature orange, with a long warming finish. Second drop was a Sullivans Cove bourbon wood single barrel paired with whisky soaked smoked salmon. In the Sullivans Cove we found lemon, toffee, salt and herbal notes, with a delicate zesty finish. 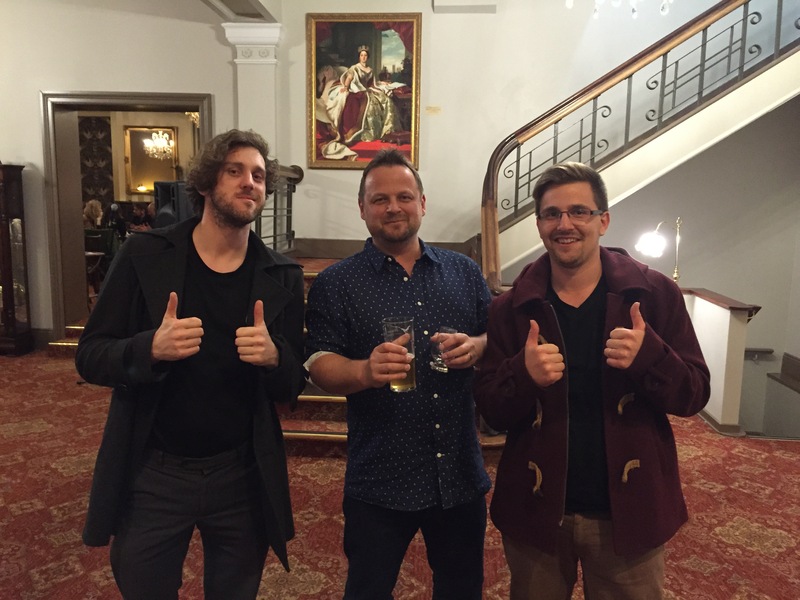 The last man standing was what Brett described as ‘fanboy whisky’. It was one of Belgrove’s mad creations, a 100% rye matured in Pinot Noir casks, paired with a hazelnut chocolate. It was a stark contrast to the other two, which pleasantly intrigued us. Lashings of plum jam, squashed strawberries, spice, wood and apparently a finish akin to sucking on a HB pencil (many thanks to our new friend Julian for that particular gem of a tasting note). As much as we like to think we know about Tasmanian whisky, nights like this prove there’s an awful lot we don’t. We left feeling enlightened, inspired and grateful to be a part of the whisky scene in our home state. 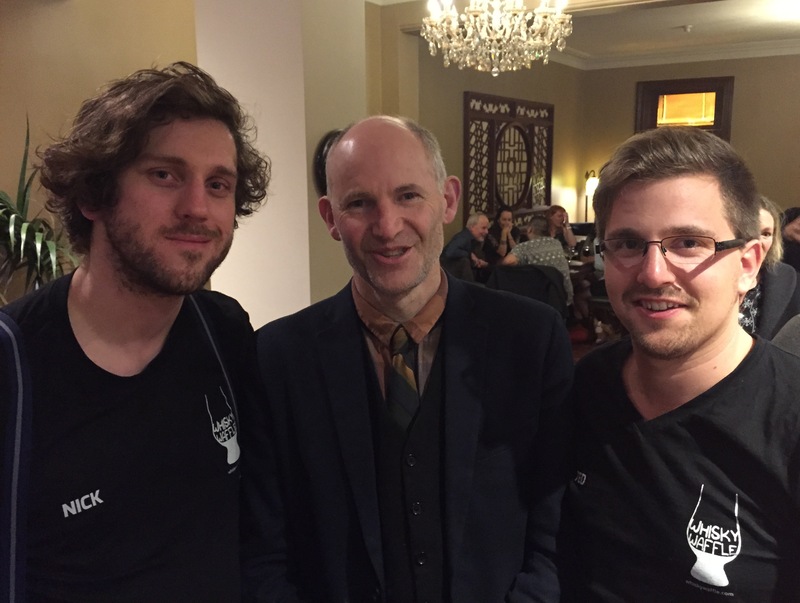 After the talk came to an end we filtered out to grab a signature with Jon, a pint with Bernard and a dram with Brett… and later, many drunken selfies with our new friends. 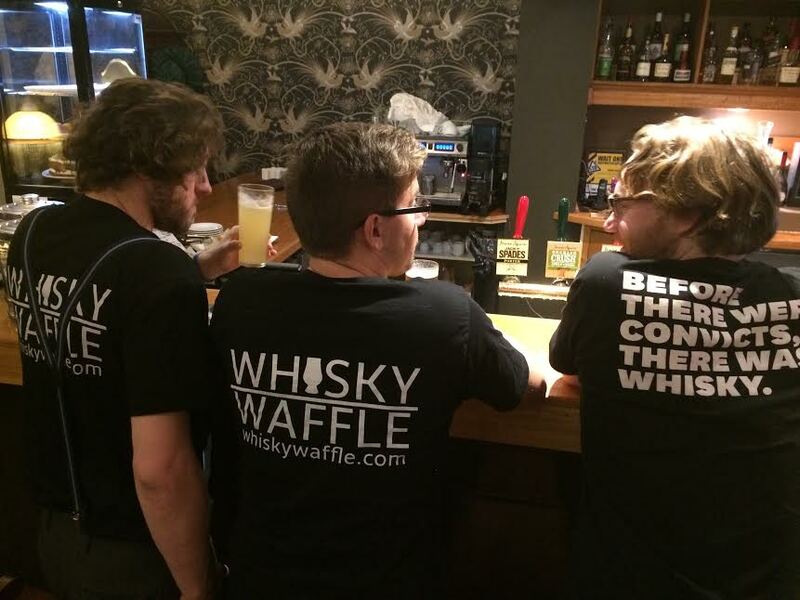 Tasmanian whisky, bringing people together since 1820.